Michael Jackson’s entire back catalogue has been stolen by Internet hackers. Sony music suffered its second major security breach in a year, with thieves targeting songs and unreleased material by the singer. It’s alleged they downloaded more than 50,000 music files worth $253 million in the biggest ever cyberattack on a music company. 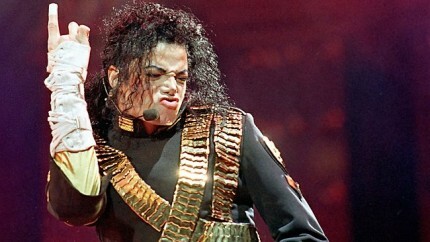 The news comes just a year after Sony paid $395 million for the seven-year rights to the songs following Jacko’s death. The contract with Jackson’s estate also allowed them to release 10 new albums, including material from studio sessions produced during the making of some of biggest albums. The singer, who died in June 2009 at the age of 50, had recorded unreleased duets with artists ranging from the late Freddie Mercury and Black Eyed Peas singer Will.i.am. In April the details of 77 million gamers were stolen after Sony’s PlayStation Network was hacked. The breach cost Sony $168 million and damaged the reputation. The attack on the Jackson files occurred shortly afterwards but has not been revealed until now. It was discovered during routine monitoring of social networking sites, Jackson fan sites and hacking forums. A source close to the company said: “Everything Sony purchased from the Michael Jackson estate was compromised. “It caused them to check their systems and they found the breach. There was a degree of sophistication. The hack has compromised the work of other artists managed by the firm, including songs by Jimi Hendrix, Paul Simon, Olly Murs, the Foo Fighters and Avril Lavigne. Last night Sony admitted there had been a security breach and that the Michael Jackson material had been stolen but refused to say how much the hackers downloaded. A source within the company said that although the Jackson estate had been told about the hack the company did not have to make the knowledge public as there was no customer data involved. They added that computer experts had traced the hack to the UK by examining a “fingerprint” allegedly left behind. The Serious Organized Crime division took up the case and two men appeared in court last week charged with offences under the computer Misuse Act. They denied all charges and were remanded on bail.